The Pendleton ’49er for Fall 2018. 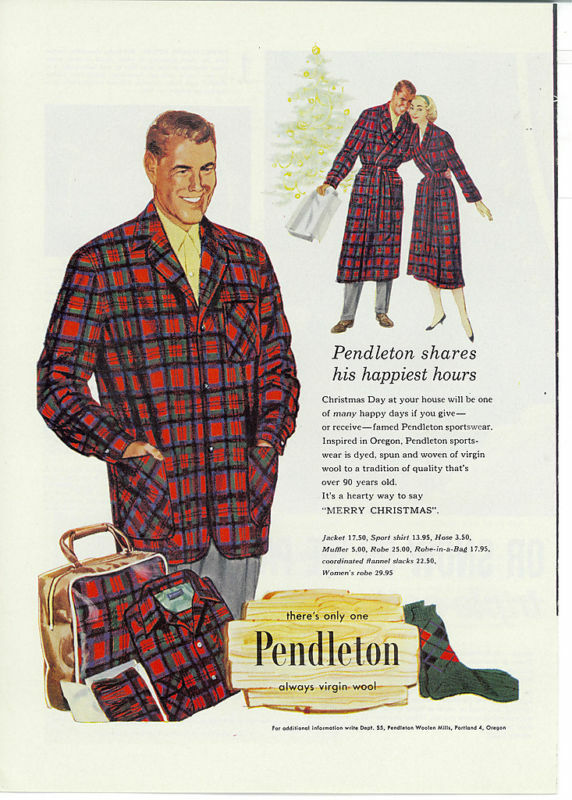 The Pendleton ’49er is a perfect illustration of the adage that quality never goes out of style. This American classic is still going strong after more than sixty years. But where did it come from? 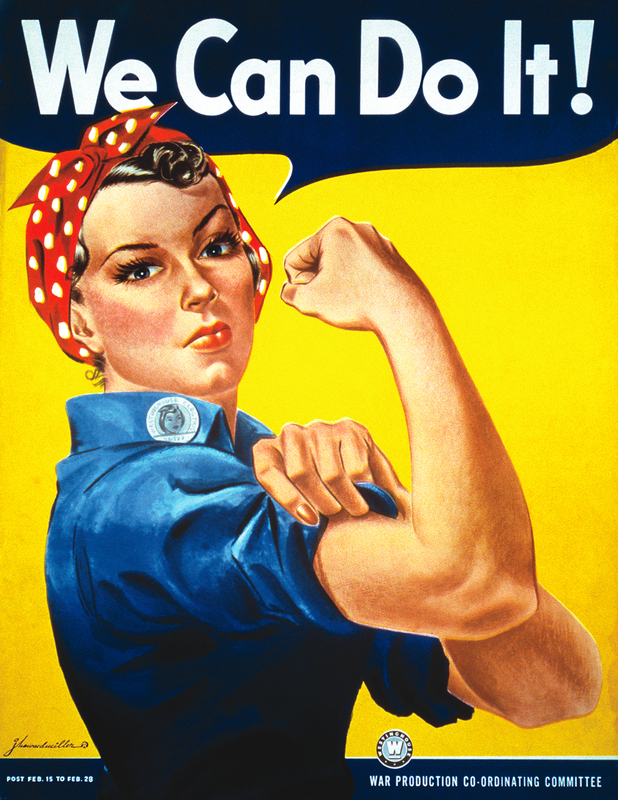 The answer starts with the changes for women in World War II, when American women proclaimed, “We can do it.” This iconic WWII image was used in countless posters and bond drives during WWII. A serious woman dressed for hard work with her hair in a kerchief, the image still fixes us today, gazing out at onlookers over a flexed bicep. 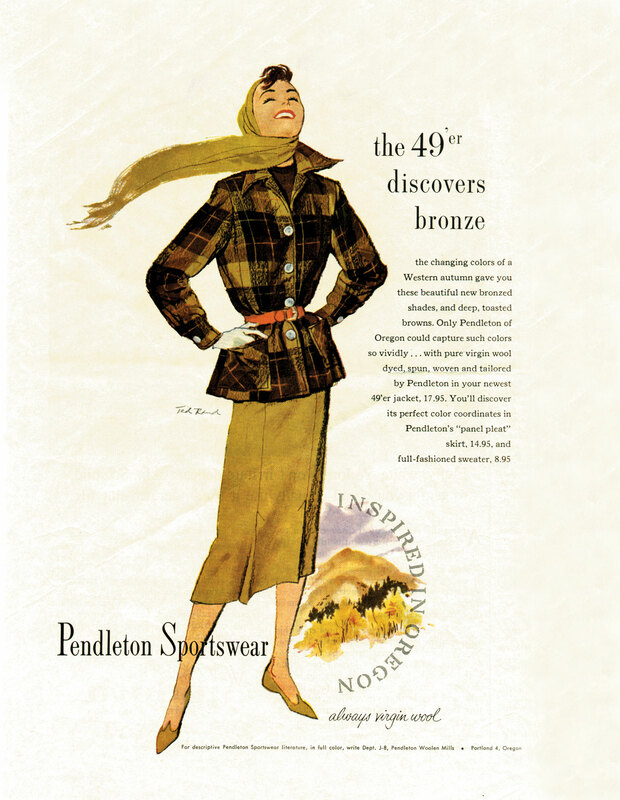 She was a symbol of women stepping up to fill the need for factory workers during wartime, but she was also part of the emergence of one of Pendleton’s most enduring items of womenswear: the 49er jacket. Ed. note: a guest post by Holly from our Catalog team. Enjoy! “Wool” and “summer” don’t really go together. 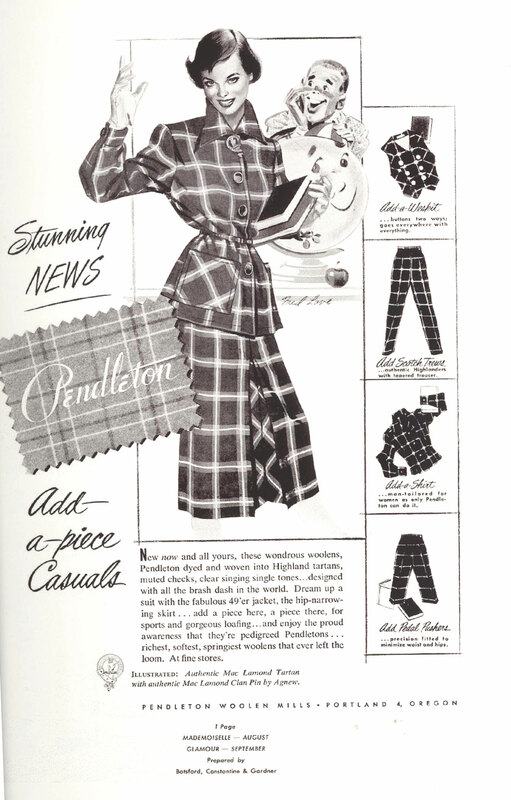 But as one of Pendleton’s catalog writers, I’m privy to some of the less-obvious gems on our site—some of the well-made, quality pieces that are perfect for warmer months (and really all year). Consider this your inside scoop as to our best buys. From $20 to $200+, here’s what you should be buying from Pendleton’s site right now. From our new Everywear™ athleisure line, these are cute, bright and modern, with a geometric pattern that’s very Pendleton. Wear to work under a black pencil skirt or swingy black tunic, or top with a tunic and stay comfy for weekend errands. Already a popular piece among Pendleton employees! You might recognize the pattern from our Harding blankets, a close relative of our iconic Chief Joseph design. This scarf is huge, supersoft and lightweight—ideal for offices, movie theaters and anywhere else with aggressive air conditioning. Your beach bag or bathroom will thank you (trust me, I have three of these). Not only are our beach towels really plush and big, but Mara Hoffman’s designs are stunning. One side is soft and sheared; the other is looped and absorbent. What to put on your bed during the hot months? This supersoft cotton throw with geo designs and stripes. 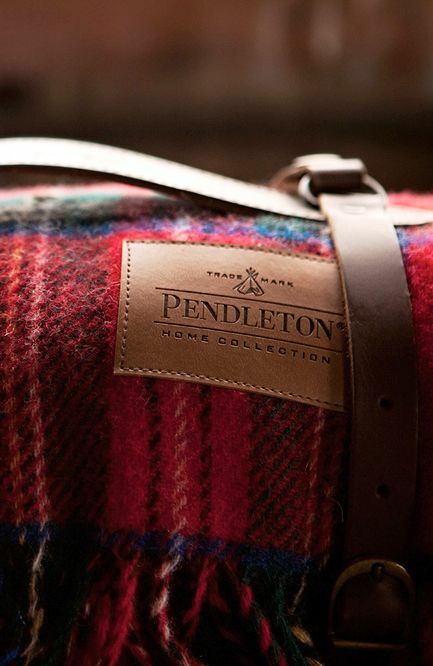 Like our wool blankets, the design is still classic Pendleton, just in a lighter, airier form. A colorful little indulgence with an irresistibly cute buffalo keychain. Bonus: wool is naturally dirt- and stain-resistant, so it’ll stay nice-looking for longer. This airy open-knit cardi is on point for the summer-to-fall transition–and in fun teal and pink to boot. Layer over a tank now and over a long-sleeve tee later. More colors at the link. Summer means wedding season, which means scrolling through an online gift registry or going rogue with our softest, nicest throw. It’s pure merino wool and so luxurious you won’t want to part with it. There’s a plaid for everyone at the link. A new year means a fresh start—and for some, a new job. Landing an interview can seem like the hard part, but choosing the right outfit can be almost as tough. After all, the wrong look can cost you the job. We’ve had candidates show up in flip-flops and cutoff shorts (and you can guess whether they got hired). Even a nice shirt and slacks can give off a careless vibe if something is wrinkled, covered in cat hair or too tight. On the flip side, the right outfit can make a winning first impression and help you relax. You’re more confident when you’re comfortable and not tugging on hemlines. That translates to a smoother job interview. Need a cheat sheet? Here are three different interview outfit ideas based on the type of work environment. (If you’re interviewing to be a paralegal, your look will obviously be much different than Chief Officer of Fun at a startup.) When in doubt, contact the HR person who scheduled the interview with you and ask for general dress code guidelines. Here we go! Finance, law, politics…if you’re interviewing in a conservative environment, play it safe. Start with a classic black suit. (According to experts, orange is the worst job interview color; black is safest.) If you’re wearing a pencil skirt, sit down in the dressing room to make sure it’s long enough and doesn’t pull at the hips. Whether you wear a skirt or a pantsuit, make sure it fits perfectly–take it to your tailor if necessary. Once your outfit is clean, ironed or steamed and impeccably fitting, add subtle jewelry and moderate heels. Since it’s winter, finish everything off with a peacoat or trench coat. For last-minute touch-ups, toss a lint roller in your car’s glove box or tuck a travel-sized one in your purse. Last, don’t forget to breathe. You’ll do just fine. Applying for a job in the arts, fashion or teaching? Your outfit can be more fun. Play with color, pattern and texture while staying squarely in “professional and polished” territory. January in particular can be a dull sea of black winter coats, so seize the chance to showcase your personality with a touch of florals, stripes or color. But don’t go too wild. Pick one eye-catcher and keep the rest of your outfit simple in solid, more subdued tones. Now to accessorize! Unlike conservative workplaces where quiet, delicate jewelry is key, creative settings mean you can wear statement jewelry. As for shoes, heels are always safe, but why not try booties, Oxfords or equestrian boots? Stay away from sneakers no matter how nice they are. (I know. Wait until you get home.) Hint: If you’re interviewing for a job here at Pendleton, you should be at least this dressed up! At certain tech companies and startups, wearing a suit won’t impress the boss; it’ll get you strange looks. (It’s especially true here in Portland, land of the casual.) The good news is, you can tone down the formality without heading into jeans-and-hoodie territory. It can be tricky to strike the right balance, so start with a blouse, casual slacks and a blazer to give a “I’m competent” vibe. Then add nice flats and a brightly colored belt or vibrant bag for a down-to-earth touch. And remember, no matter how casual your outfit, it should be well-fitting, well-maintained and not too revealing. You’ve probably heard the general rule: However employees in your (future) department dress, you should dress one step nicer for the interview. Translation: Even if everyone in the company wears jeans, resist the urge. Save your favorite faded denim for once you get the job! One last tip: Don’t forget to send a thank-you card after the interview. Works every time. Good luck—we’ll see you in the conference room! What’s your go-to outfit for a job interview? 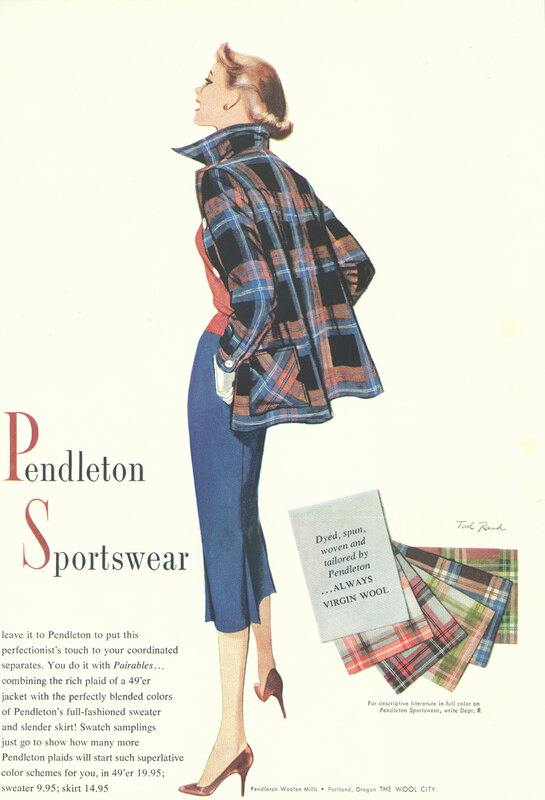 We at Pendleton don’t typically chase fads, but our ears perk up when it’s one we’ve been perfecting since the 1920s. Indulge us in a quick trip down memory lane, then we’ll show you three ways to style plaid for today. 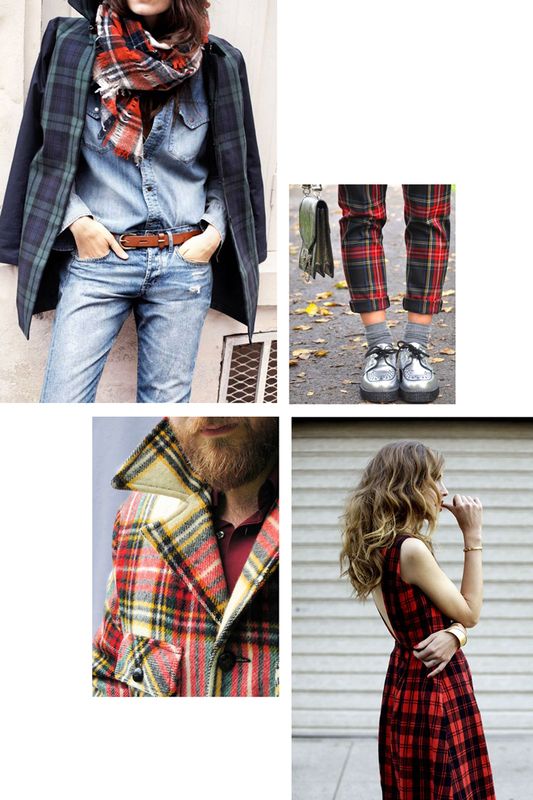 We’re pretty obsessed with plaid, as well as its more distinguished subset, tartan. For the uninitiated, tartans are basically registered and/or historical plaids. (All tartans are plaids, but not all plaids are tartans.) Traditionally, Celts would wear the family’s tartan as a proud assertion of family identity. Scottish families even registered their family plaid with the Scottish Tartans Society. We even have our own official tartan, the Pendleton Hunting Tartan—it’s green and blue with touches of red. Things only took off from there. Plaid got a big boost with the ’90s grunge scene, and it’s been pretty popular ever since. Everyone from George Lucas to Gwen Stefani has been spotted in a Pendleton plaid shirt. And don’t forget Diane Keaton, Neil Young, Marilyn Monroe, Johnny Depp, Lady Gaga, Jack Kerouac and Kurt Cobain, to name a few! 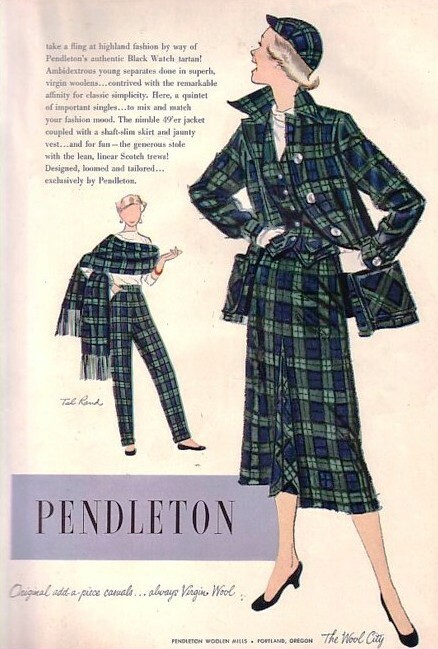 …but it’s easy to make plaid more modern too. Here are 3 ways we love to wear the timeless pattern. We know the fashion industry will move on to the next trend in a heartbeat, but we’ll always have a soft spot for plaid—and fashion in general that transcends trends. 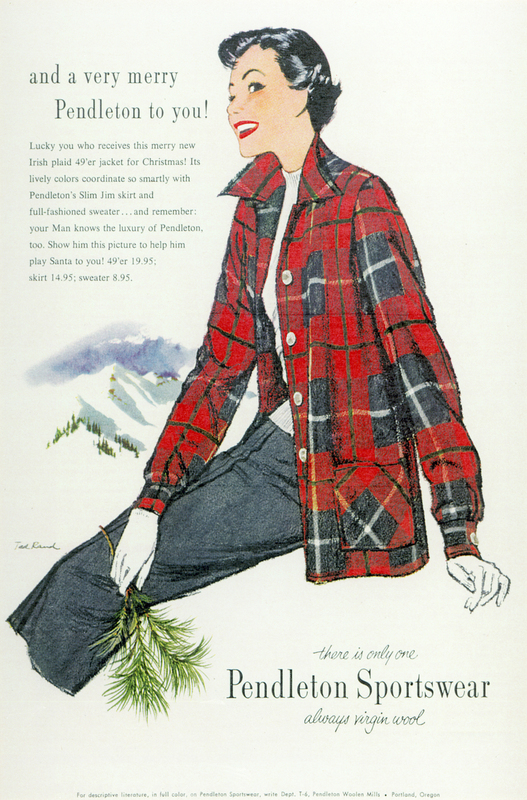 OK, your turn: How are you wearing plaid this fall? And which of these pieces is your favorite? Gearing up for National Tartan Day! Monday, April 6th is National Tartan Day. Some of our readers live, breathe, eat and sleep tartans. They are steeped in their clan histories. They know the difference between the ancient, dress, hunting and standard versions of their clan’s tartan. But other readers aren’t quite sure of what exactly makes a tartan a tartan. How does a tartan differ from any other plaid? That’s right, tartans were illegal; inflammatory and subversive. We’ve been making tartan shirts, Topsters, motoring caps and robes for men since the 1920s. 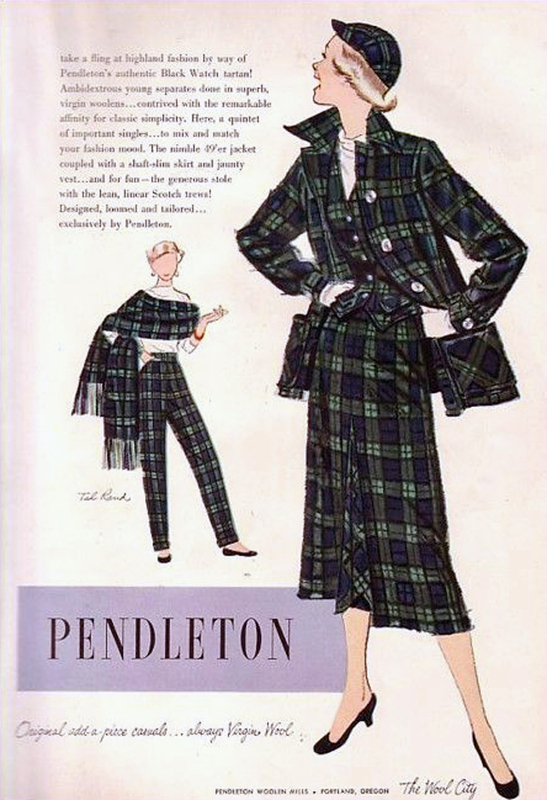 Women have always been part of the Pendleton tartan action, as well. 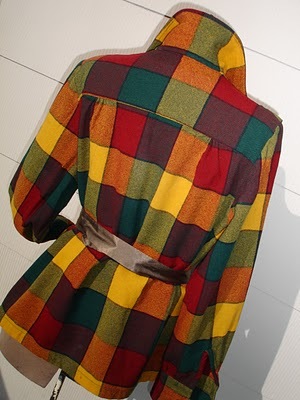 Today, tartans have taken fashion by storm, because these patterns are timeless, we return to them. If you’re wanting to add tartan, but you’re not sure where to start, try Blackwatch tartan, the tartan designed to look black from a distance. This is also known at the Government or 42nd tartan, developed to wear by the Black Watch, one of the early Highland Independent Companies. From a distance, the pattern reads black. It’s the stealth tartan. Around here, we call it Highland Camo, and though it’s one one of our perennial bestsellers, it’s a challenge to photograph for a catalog. But we do, as you cansee if you pay us a visit at pendleton-usa.com. We have tartan items galore for women, men, and home. Remember, Monday is the big day. 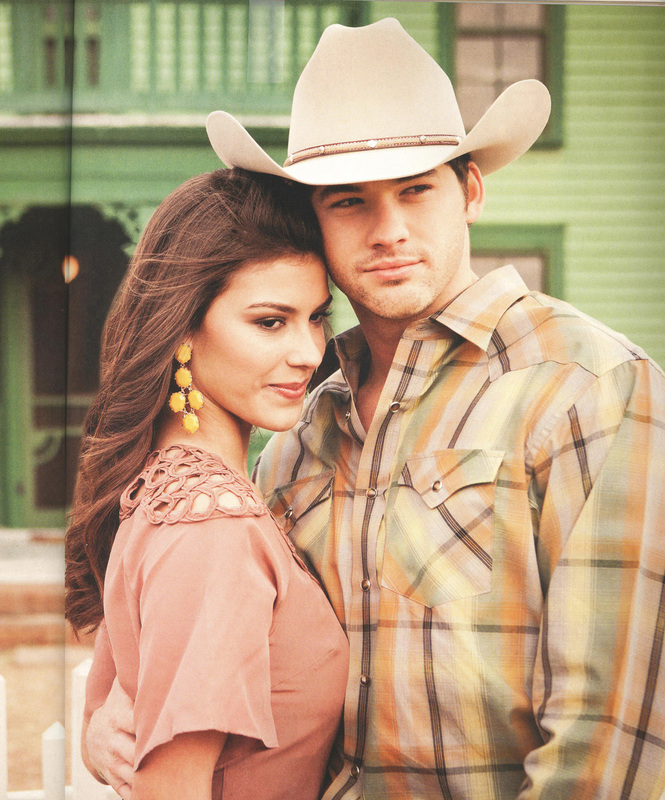 Spring is getting here, we hope, and Cowboys & Indians is making us look fantastic in their latest Spring Fashion Issue. 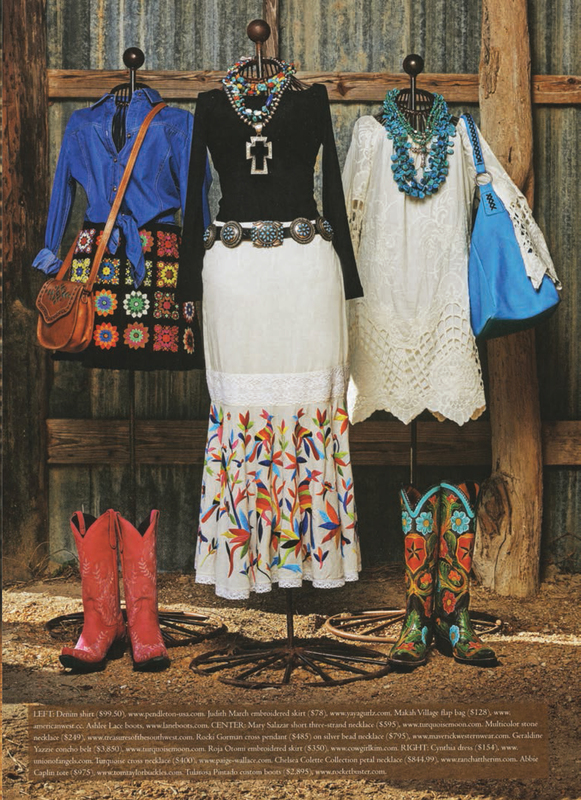 Our women’s Denim Shirt with an adorable afghan skirt! Our Mixed Media Shell makes a perfect first layer. Everyone loves our Frontier shirt. 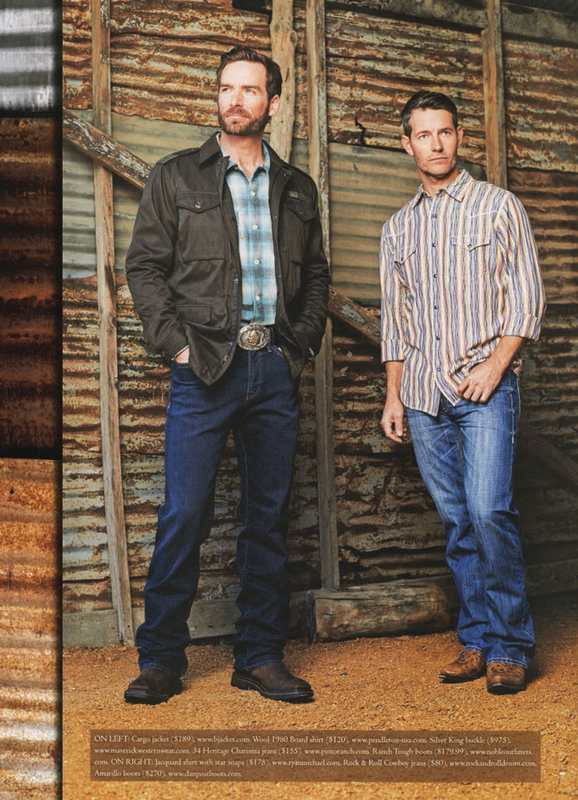 Our original High Grade Westernwear wool shirt, the Canyon. 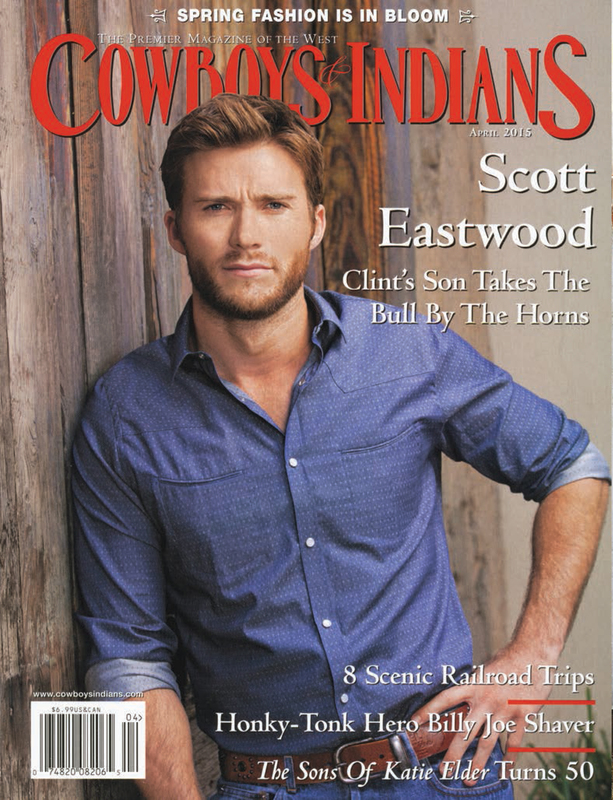 We always love to see what C&I does with Pendleton! 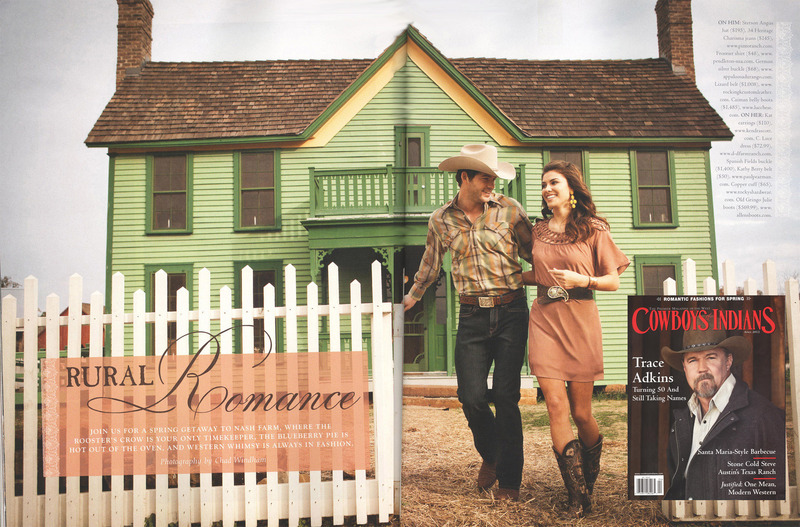 Here’s one of our favorite shoots from a few years ago. So go get your Spring on! It’s about time, yes? The Nouveau ’49er for Holiday 2014, in a new boucle-accented plaid. See them here and here! And we’ve had a little fun with our original archival jacket. We brought it out, compared the specs, and refashioned the original design. Back in 1949 the collar points were a little more dramatic, the back shirring more subtle and the length slightly shorter—all details that give our fashion icon a decidedly modern edge and make it new again. Editor’s note: This post is an update on a favorite post, just as the Nouveau ’49ers are updates to this classic jacket.